Anyone who regularly exercises, particularly runners, will often describe how their ITB (Ilio Tibial Band) is tight. For this reason, they will spend time at length “rolling out”, often enduring considerable pain, to “loosen up” the outer part of the thigh. And while you roll out in agony, the pain gives reassurance if it is this painful then rolling out has to be doing me some good. This is not the case. No matter how much rolling you do, it is highly unlikely that you are going to “loosen up” this area because the ITB is not a muscle. It is a tendon. The ITB’s role is to help stabilise the knee and act as an attachment for the tensor fascia latae (TFL), a muscle that runs from the top of the iliac crest (top of the hip bone) to the area around the greater trochanter becoming the ITB. The ITB then travels down the outside of the thigh and inserts onto the distal outer aspect of the knee. Pain involving the band is often diagnosed as iliotibial band syndrome. Being a thick ligamentous band, it is unlikely that rolling it would provide a change in length or mechanics to the area. So why does it feel good to roll this area out? 1. The role of the ITB: Like any structure the ligament has pain receptors within in it to detect damage or overuse. As the primary role of the ligament is stability, lack of strength, activation and poor mechanics can cause overuse of the tissue. Poor pelvic, hip and knee stability can all increase demand and stress on the ITB causing stimulation of the pain receptors within the band. This is particularly prevalent in people who are flat footed, over pronate or in women. If during the stance phase of walking or running the leg shifts medially (towards the mid-line), then the ITB will be pulled creating tension within the band and potentially stimulating pain receptors and creating tension within the knee. This “pain” is why lateral compartment knee issues are often related to the hip, pelvis and ITB. 2. Adhesions in the quadriceps: The ITB sits superficially or over the top of the outer aspect of the quadriceps (vastus lateralis to be exact). For this reason, the pain experienced while foam rolling out can come from tension in the underlying quadriceps. Being on the outside of the thigh, this is an area often overlooked when stretching. Trigger points within the lateral part of the quadriceps will be released while rolling out ITB. 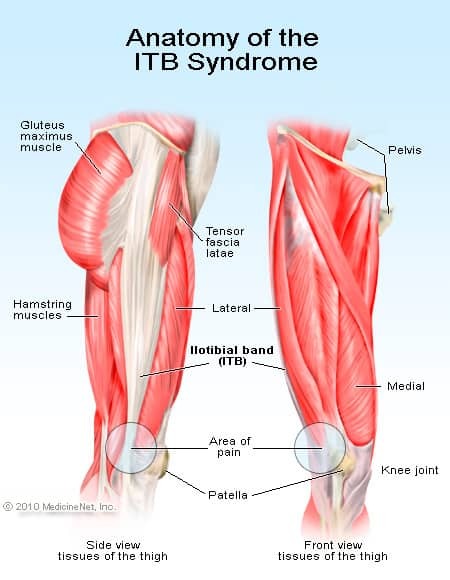 Pain along the ITB is commonly experienced through for the most part the ITB is not the cause of the actual pain. 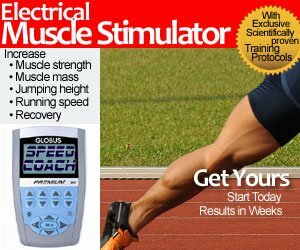 Pain is commonly caused by the deeper quadriceps muscle but also as a result of poor mechanics and movement. Instability present in other areas can cause stress of the ITB area. These instabilities can be present in the hip, pelvis or foot. Stay tuned for part two where we look at these in more detail.